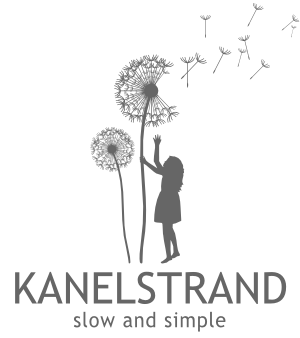 Kanelstrand: Can Turmeric Really Whiten Teeth? Can Turmeric Really Whiten Teeth? 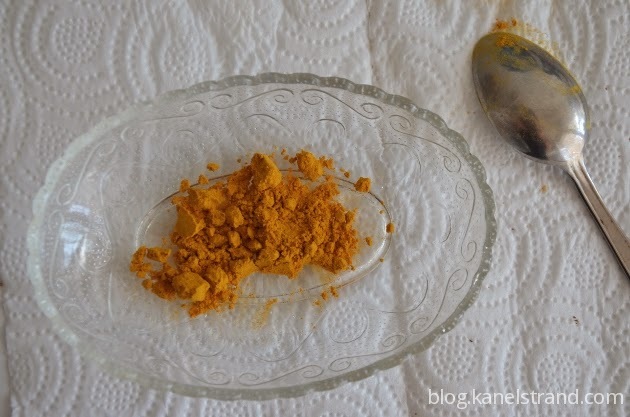 Last month I posted 5 ways to whiten your teeth naturally and one of them was turmeric. I must admit I raised my brow the first time I heard that turmeric can whiten teeth because I knew that it stained anything irreversibly. On the other hand, any article I read claimed how beneficial turmeric was for teeth and oral hygiene. According to research compounds in turmeric have anti-fungal and antibacterial properties and is famous for being a great non-abrasive whitener. So, instead of wondering if it really worked or not I decided to try turmeric. I anticipated a yellow mess around the sink but actually it wasn't that bad. I put a teaspoon of turmeric powder in a small glass bowl (the original recipe calls for 1/2 teaspoon and actually that is quite enough). 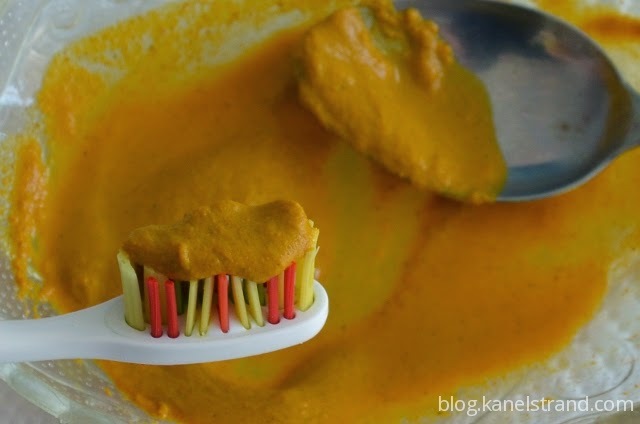 Then I mixed the turmeric with a few drops of water to form a thick paste and put some on my toothbrush, which I knew would get stained. And I started brushing as usual. I was expecting a weird taste but it was quite acceptable. I tried to brush thoroughly for about 2 minutes. After I rinsed my mouth though, I was unpleasantly surprised with the yellow tint on my teeth and gums. I quickly put some baking soda on my toothbrush and continued to brush for a minute more but the yellow was still there. Then I got some toothpaste on but the yellow persisted. It didn't look like my teeth were very much whiter than before, so I felt disappointed. Anyway, I took the "after" picture and looking at it later I saw that my teeth actually looked cleaner! 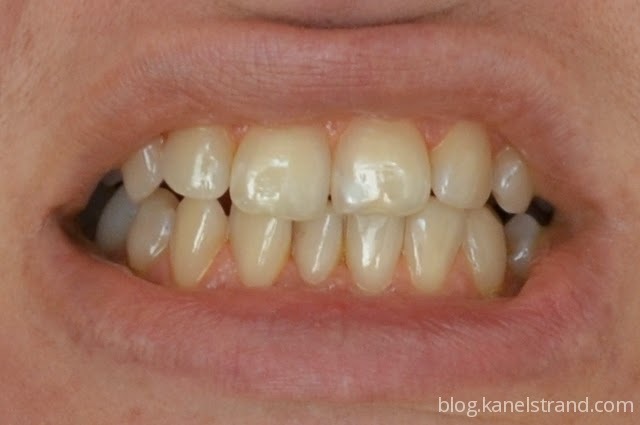 You can see the overall yellow teeth on the gums and teeth but if you look closer at the bases of the teeth, they're much cleaner and whiter than before. In about 30 minutes the yellow tint had gone away and I could see a difference between "before" and "after". Although the result is not as dramatic as I expected I can see that there is some whitening. 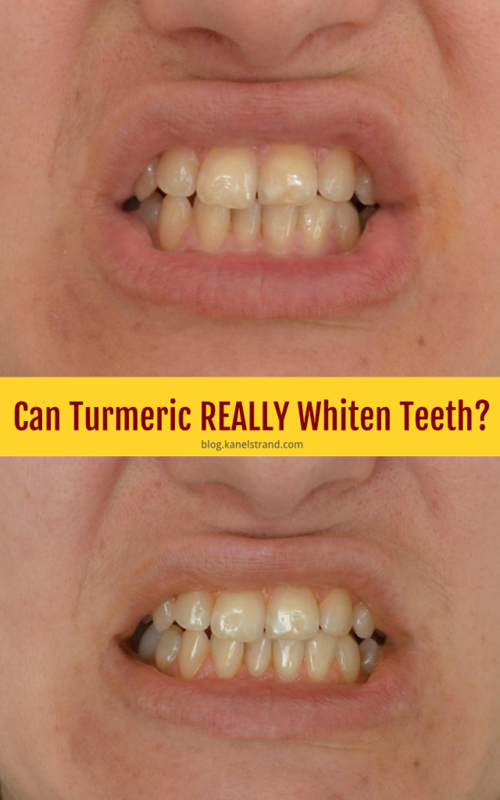 Yes, turmeric can whiten teeth though not dramatically. Have you tried whitening your teeth with natural remedies? Let us know how it went for you in the comments.